Hi ? This is my notebook:? ?http://www.asus.com/...specifications/ Asus N56DP A10 4600M 2.3Ghz 4GB Ram AMD Radeon HD 7730M & AMD Radeon HD 7660G 500GB HDD USB 3.0 And a installed windows 7 on it. I used myHack 3.3.1 and Mountain Lion 10.8.3 and made a bootable USB. Every thing is ok and i can see installation with GraphicsEnabler=No flag. I want to install OS X?on a partition,?without losing any data?and without format whole Hard Disk and without installing windows 7 again. Now, i format a partition to HFS+ type. What should i do now? Hi all! I have converted MBR hard disk to GPT (all partitions are saved). Then I have done adding a lot of space to my small HFS+ partition from OSX Installer Disk Utility. Then I have rebooted and my Chameleon not showing OSX, only windows available and flash (if connected). Boot flag is presented on the partition, so I don't know why Chameleon not see this slice. Please help me to fix this strange issue ? Hi Everyone, ? Please suggest which options i should select in Boot loader and Clover CloverEFI while installing Clover(2988 or 2957) in Yosemite Disk. ? As i have already installed Windows 10 Technical preview and my HDD is having MBR partition Table. ? I want to use EasyBCD to add boot entry for both of the OS(Yosemite and Win10) in Windows. ? Thanks !! How can I set up Clover Configurator 3.19 in MBR mode? Hi! ? This is my first time on this forum and I'm not used to using Macs so if I make a mistake, don't bash me. 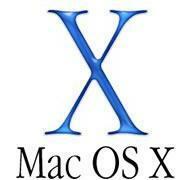 I have a modified OSInstall.mpkg and I want to replace it with the original file in Mac OS X Install ESD. I tried deleting the original file but I receive an error message that the file cannot be deleted. I checked my permissions and it said that I had the right to read and write files yet I cannot delete the original file. Any ideas? Feedback is appreciated. Thanks! ? ? ?Uploaded with ImageShack.us? ?Uploaded with ImageShack.us ?